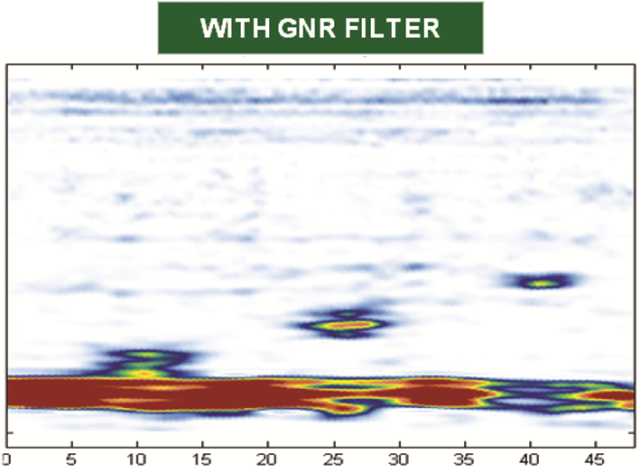 GNR FILTER: See beyond structural noise. 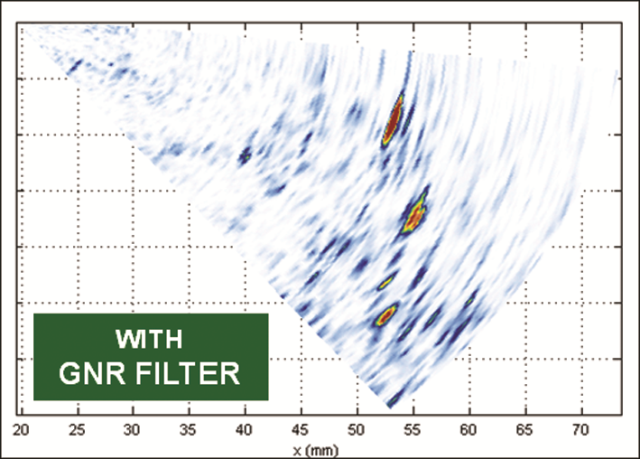 GNR filter (*) included in all SITAU models, reduces grain noise and improves flaw detection by increasing the signal to noise ratio. 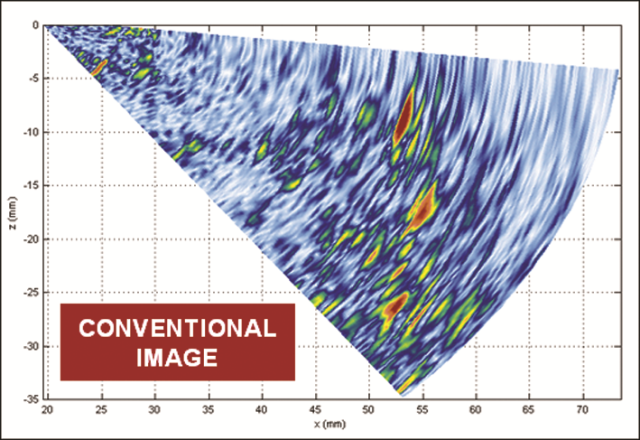 • Real time: no PRF reduction. • Simple operation: no user defined parameters. • Reliable: no missed defects. 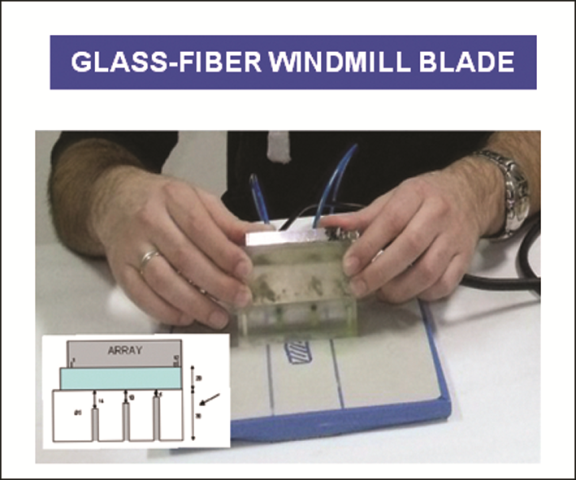 Specially designed for Fiberglass or Carbonfiber reinforced parts inspections and austhenitic steel welds and parts. A valuable tool for most applications. 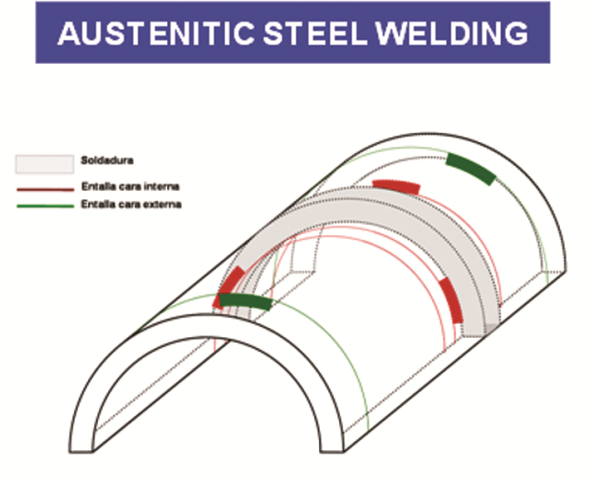 • Stainless steel welding inspections. 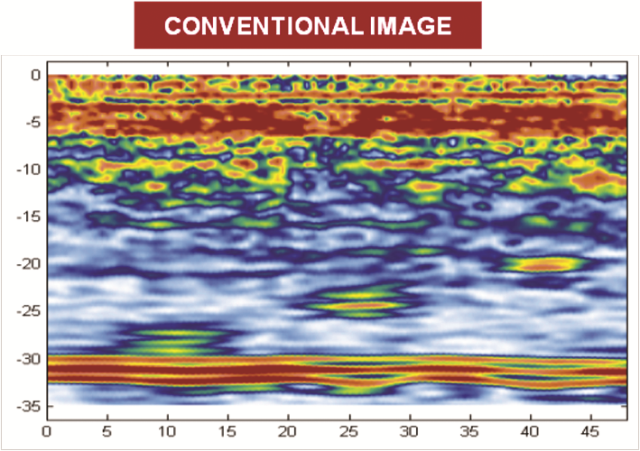 - Phase Coherence Imaging of Grained Materials.